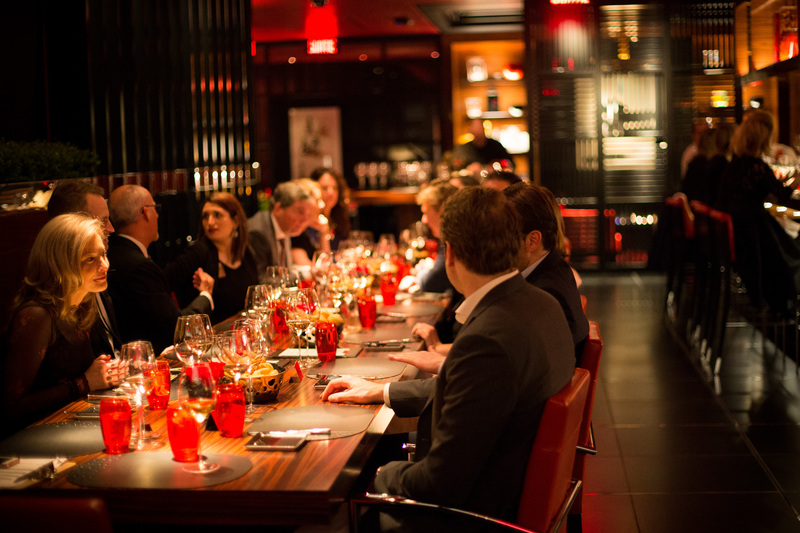 Moisson Montreal is pleased to invite you to a gastronomic evening full of colors and rich in flavors. 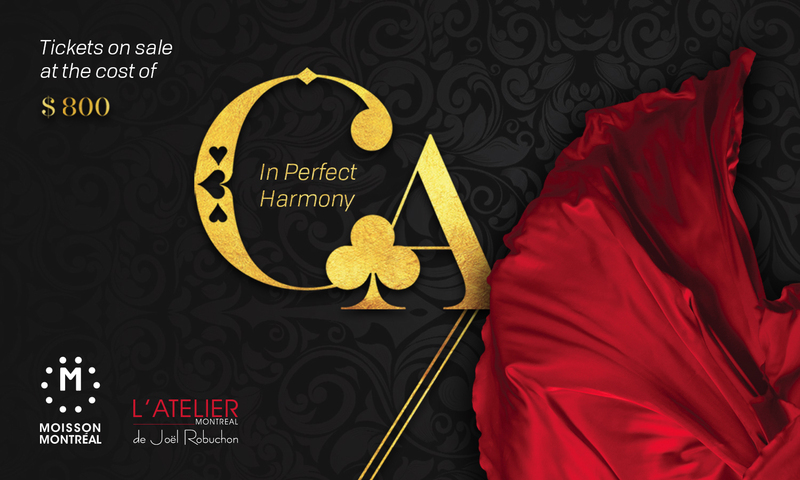 Named In Perfect Harmony, this second edition will take place on March 13, 2019 at L’Atelier de Joël Robuchon from 6 p.m. 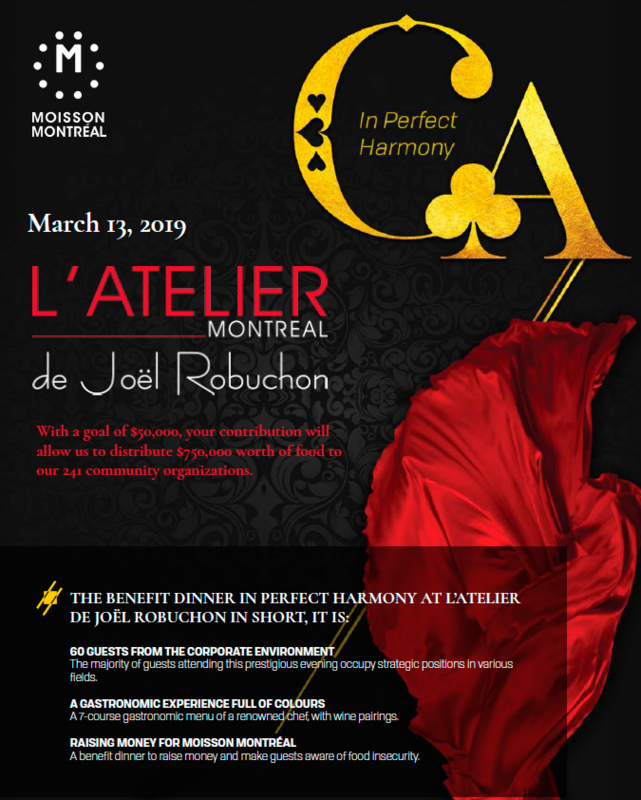 This exceptional culinary event will tantalize your taste buds, in addition to making the difference for the vulnerable montrealers! 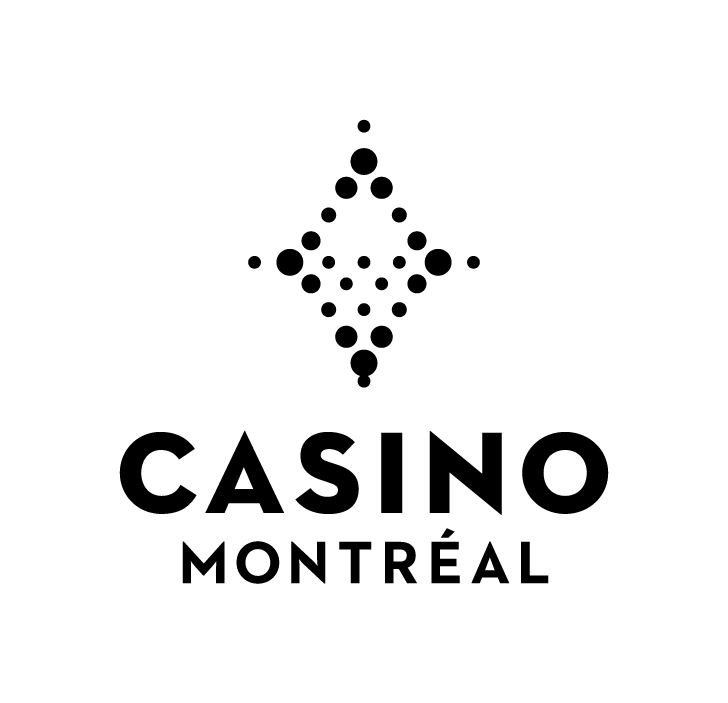 This initiative is carried out thanks to the collaboration of the Casino de Montréal, for the benefit of Moisson Montreal. *No need to print your ticket after registering, just go to the main entrance, a valet will be waiting for you that night. To view the sponsorship plan, please click on the image below. Upon arrival, an agent from the Casino de Montréal will greet you and take care of your vehicle and parking. 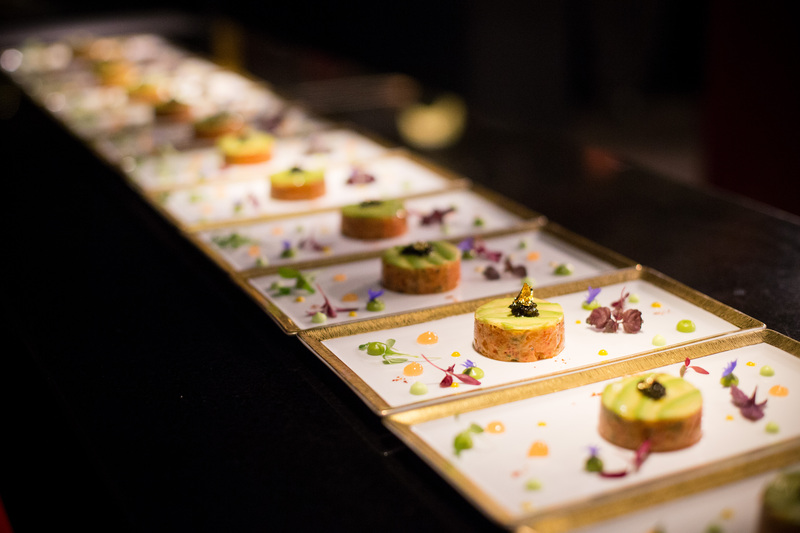 Let yourself be led to the doors of L’Atelier de Joël Robuchon to start the festivities. Walk into a world apart: one of the most starred chef’s restaurants in the world, which will delight everyone’s taste buds and amaze your senses in a friendly and unpretentious atmosphere. Winner of the first price of Prix d’Expression musicale of Marianopolis College in Montreal in 2008, Léa Weilbrenner captivates her audience with her presence on stage, her acting skills and by the agility of her voice. She has been invited to sing for Berlin Shakespeare’s Festival in Germany, for Yellowknife’s Ramble and Ride Festival in the North-West Territories, and also sang with the Joliette Youth Orchestra, with the Orchestre Philharmonique de la Métropole and among others, with ensemble Les Méandres. 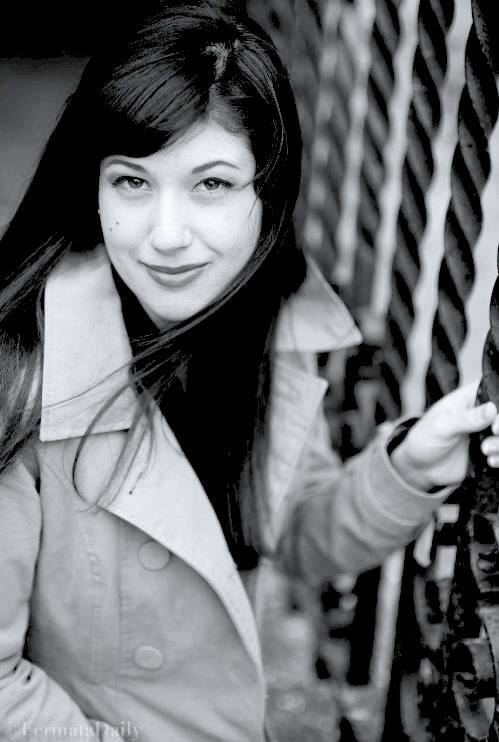 Originally from Montréal, soprano Léa Weilbrenner graduated in 2012 and finished her master’s degree in 2014 at Schulich School of McGill University. This summer, Léa Weilbrenner sang role of Elisetta from Cimarosa’s Il Matrimonio Segreto, with Baroque Mont-Royal Company and participated in « Broadway sur le Plateau » with the Jeunesses Musicales of Canada. Léa also sang the role title of « La Canterina » (Haydn) with her collective Opéra Café Concert. Enjoy a 7-course gastronomic experience of a renowned chef, with wine pairings. Please inform us of your food allergies. 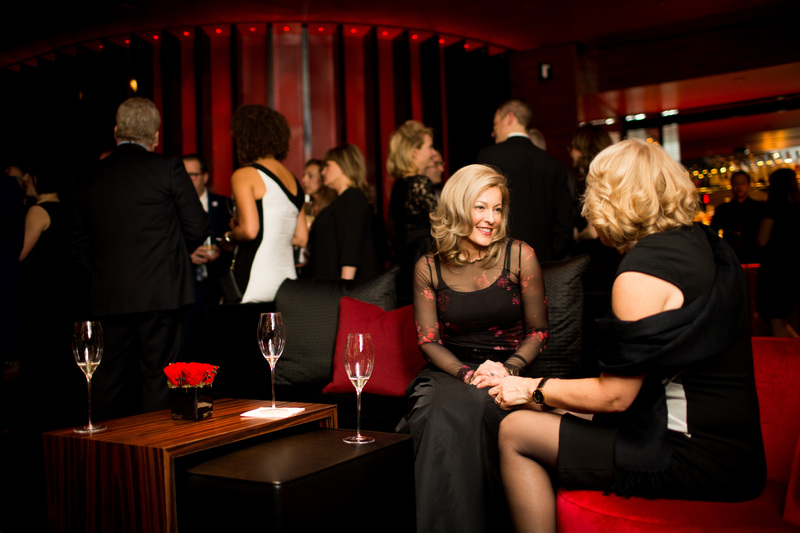 Elegance will be appropriate for this high-end event. The evening dress is strongly suggested.